This may seem like a fairly bland topic (and unlike most things on this blog, isn't directly PVP related), but from my own experience I know it's something that many newer players don't really understand. Given the potential consequences should you get it wrong, I think it probably deserves an explanation. Before I tell you how to do it right however, let me tell you a story about doing it wrong. Back when I was relatively new to Eve, I was part of a small hisec carebear alliance. 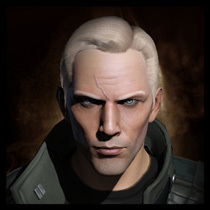 Our corp had some pretensions to PVP and lowsec, but realistically none of us really knew much outside of hisec missioning to the point where your faithful narrator, having been on the receiving end of a few uneventful hisec wars and with a whole 2 killmails under my belt, was the corp's leading expert on the subject. I remember one of the other corps in our alliance recruited someone who owned a carrier, and they wanted to move it closer to our base of operations. Having never dealt with capitals before, we just found a quiet lowsec system and lit our cyno at a safespot to bring the carrier in, before having it warp to station and dock up. Looking back, this was a pretty dangerous thing to do - had anyone chosen to warp to our cyno it wouldn't have been hard for them to tackle our carrier, or at the very least kill our solitary cyno rapier. By blind luck nobody did so, and it wasn't until some time later that I realised just how bad an idea that had been. So how should we have done it? Note that this article deals simply with moving capital ships in a non-combat sense. This is not a guide to hotdropping or using a capital ship in combat. I realise some of my readers may not know the first thing about capitals, so I'm briefly going to cover some basic (and a few less basic) facts. If you're already familiar with how capital ships and cynos work, you can skip over this section. Jump-capable capital ships (carriers, dreads, rorquals, and supercapitals) cannot travel using stargates like a regular ship. Instead, they travel between systems by jumping to a special kind of beacon called a cynosural field (generally referred to as a 'cyno'). Jump freighters and blackops battleships are able to travel via both methods. You can learn more about jump drives here. Titans and blackops battleships can also open a 'bridge' to an active cynosural field, allowing subcapital ships to jump to the cyno field (effectively the titan or blackops BS functions like a one-way stargate). Only cloaky ships (that is, ships capable of fitting covert ops cloaks plus the blackops BS itself) can bridge via a blackops battleship. Cynosural fields are created by another player, using a high slot module called a cynosural field generator. There is also a POS module which functions as a permanent cynosural beacon outside the POS shield, although the installation of these requires the owner to have sovereignty in that system. The pilot lighting the cyno must be in a fleet, and only other ships in that fleet can jump to the cyno. Cyno generators require liquid ozone as fuel, and consume a set amount per cycle regardless of the number of ships which jump to the cyno. The amount of fuel consumed is based on the player's cynosural field theory skill level (from 450 units at level 1, to 250 units at level 5). Force recon ships have a bonus which significantly reduces the fuel consumption of cynosural fields. The cyno generator will remain active for 10 minutes (or 5 minutes if lit by a force recon ship) during which time the player generating the cyno is unable to move or eject from their ship, although they may still activate offensive and defensive modules. While active, the cyno becomes a warpable object which is visible on the overview of everyone in system (providing they have ticked the 'beacon' category in their overview settings). Cyno fields can only be lit in 0.4 space and below, and cannot be lit in a system with an active incursion. 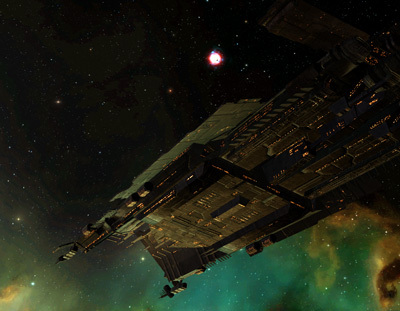 There is also a sov upgrade which can be used to 'jam' a system, preventing any cynos to be lit in that system unless the cyno jammer has been disabled. You can jump to a cyno field from hisec (if for example you're using a jump freighter), but not the reverse. Some cloaky ships are able to fit a covert cynosural field generator. This functions in the same way, but has a much shorter cycle time and does not become a warpable object on the overview. Covert cynos can also be deployed in cyno jammed systems. However, only blackops battleships can jump or bridge to a covert cyno. When an incoming ship jumps to the cyno field, it will appear exactly 5km from the cyno in a random direction. If you have the option, the most sensible way to bring in a capital ship is to cyno it directly into the docking radius of a station (excluding supercapitals of course, since they're unable to dock). You can quite easily cyno a capital straight into docking range, allowing them to dock up as soon as their session change timer is complete and putting the capital ship at almost no risk whatsoever. Not only this, but lighting the cyno on station gives you the limited protection of station guns (in lowsec) and whatever friendlies you have docked in the station, should you need it. If you're bringing in a carrier, it also allows that carrier the option of remaining on grid and providing remote repair to the cyno ship should it come under attack, without putting itself in any real danger. In other words, there is very little reason not to cyno directly onto a station if you have the option. It goes without saying, but if you do this in nullsec you should make sure this is a station you can actually dock at! If there's no station in system, you can also light a cyno on grid with a friendly POS (but outside the shield). This allows you the protection of your POS guns should anyone come to investigate (and generally decreases the likelihood of a passing hostile nuking your cyno ship too), however your capital(s) will remain vulnerable until they are able to get inside the shield. When cynoing onto a POS capital ships will appear significantly further from the cyno field* meaning it may be left with quite a substantial distance to travel. A safer alternative to slowboating into the shield is to light the cyno beside one friendly POS, and then have the capital ship warp directly to a second POS as soon as it comes in. 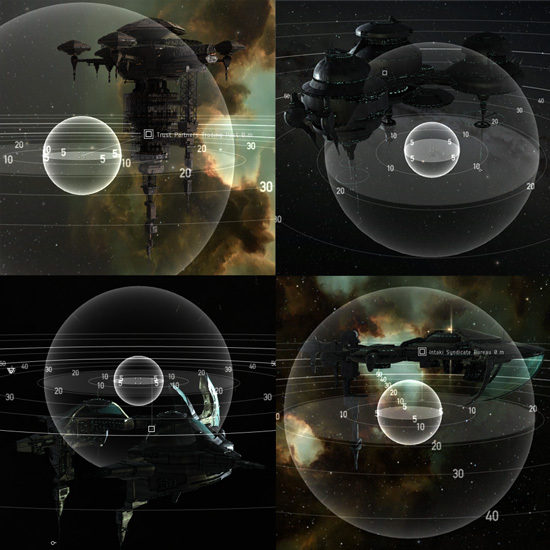 When doing this in nullsec, always ensure you have friendly eyes on grid with the second POS (or whatever location you plan to warp to) and can confirm that there are no bubbles at that location before you have the capital ship warp over to it - if you don't, this can potentially end in tears! Lighting a cyno at a safespot is generally a bad idea; since the cyno will immediately become warpable, the only purpose this really serves is to give the location of your safespot (and your vulnerable capital ship) to anyone else who happens to enter local. There are circumstances where you might choose to cyno to a safespot (usually involving bridging a fleet into a hostile system before warping to a target), however moving a single capital ship is not one of them. * Clarification courtesy of Jester: When jumping to a cyno on grid with a POS, ships will appear 5km from the cyno or 15km from the edge of the POS shield, whichever is greater. Given that cyno ships cannot escape (or even move) once their cyno is lit, they make very tempting targets for the casual passer-by looking to create an explosion. While there's nothing stopping you from using anything at all for your cyno ship, there are two main themes - something disposable (usually a t1 frigate or rookie ship), or something with enough tank that you can keep alive if it gets attacked (ideally a force recon to minimise the time that the cyno will remain lit for). The disposable cyno is very simple, and is usually the preferred option - it can be done with only two characters and requries very little investment. The idea here is to make the loss as insignificant as possible, as well as to reduce the appeal of the target to a potential attacker by not offering them a juicy kill. Most people use t1 frigates such as kestrels for this, however rookie ships are ideal - since they don't show up as a 'real kill' on most killboards, people in lowsec are generally less willing to give themselves GCC in order to kill one. Not only that, but providing the cyno module itself drops then the cost of the loss is essentially nothing. Either way, disposable cynos are going to die fairly regularly - exactly how often depends on the activity levels in the system that you're cynoing into, and sometimes simply the mood of the locals. The important thing is that when they do die, it simply doesn't matter. The tanked cyno follows the opposite philosophy - this ship is designed to not die. Since any hostiles can potentially spend a full 10 minutes shooting it (or 5 for a force recon), a local tank generally doesn't help you - rather, most tanked cyno ships will be supported by remote repair. This strategy is a good choice if you're cynoing into a home system where you have a strong friendly presence, but where the occasional passer by has a habit of ganking your disposable cynos before you're done with them. Your cyno ship should be fit with a buffer tank with strong resists, to make the most of the incoming reps. If you're bringing in a carrier, the simplest option is just to have your carrier remain on grid (and within docking range of the station) and provide reps to the cyno ship until its cycle completes. However, doing this only really works if the carrier is only making a one-way jump - if you're cynoing in and back out (or making multiple round trips), you're going to want some dedicated logistics ships to provide reps to your cyno while you do so. as well as a MAPC to fit the cyno itself. The most important thing when cynoing onto a station is to make sure that your incoming capitals are going to end up inside docking range, without actually coming into contact with the station's structure. If a ship exits the cyno in contact with the station model it will bounce off and can potentially be thrown well outside of docking range. Since ships can appear anywhere 5km from the cyno, you need to make sure that your cyno ship is at least 5km from the station's structure in every direction. The trick to doing this is simple - fit your cyno ship with a salvager, and turn on the tactical overlay; when you hover your mouse over the salvager module, you'll see a sphere around your ship displaying the module's range. As it happens, the range of a t1 salvager is 5km - thus the outside of the sphere shows you all of the possible locations at which your capital(s) could appear. You should make sure that this sphere doesn't come into contact with the station model at any point (leaving a bit of a buffer around it to be safe), while trying to keep the whole thing within the station's docking radius. This takes a little imagination since the docking radius itself isn't visible (it's effectively a sphere which contains the whole station model and then a little extra) but hopefully you get the idea - as you get familiar with station models you should also begin to get a feel for how much extra space there is around the model for each station type. Beware that the physical model of the station doesn't always match the visual model exactly. Try flying your ship into the station, and notice that in some areas you will bounce off before you actually appear to reach the model itself. For this reason, I recommend you give a little extra room, especially when your cyno spot fits into a dip in the station model. is particularly difficult - this is a notorious 'kickout' station with a very small docking radius. Once you find a suitable position, it's a good idea to bookmark it if you plan to use the system often. Remember that when you warp to the bookmark in future you won't be in exactly the same spot (you should be within 2500m of it), however it makes getting into position quickly much easier. With that done, you're ready to cyno. A successful cyno is all about minimising risk to the capital ships - do it right, and at no point should your incoming capitals be in any danger. One important thing to note is that if a capital ship jumps to a cyno field at the same moment that the cyno ship is destroyed or that the cyno module deactivates, the incoming ship could appear anywhere within the target system instead of at the cyno's location. This is generally not a good outcome, so it's important that you keep the capital pilots informed of the status of your cyno. The simplest solution is not to light your cyno until you've confirmed that the capital pilots are ready - that means everyone has sufficient fuel (including you), the capitals are undocked and in space, and all session changes are complete. You should also avoid lighting a cyno with known hostiles on grid with you who might choose to destroy your cyno ship the moment you light it. When the cyno goes up, state very clearly to your capital pilots that the cyno is up and that you're ready for them to come in. You can also broadcast a cyno, by clicking the settings icon in the top left of the fleet window, and then selecting 'broadcast jump beacon'. This works just like broadcasting a destination or requesting shields/armour, and provides an easy method for capital ships to see and jump to your cyno. If hostiles appear on grid or the cyno nears the end of its cycle (and is not being kept on for another cycle), inform your capital pilots that the cyno is about to go down (or in the case of hostiles, that it might be about to go down), and that they should not to jump to the cyno until you're ready for them again. It's common sense, and it can save you a great deal of embarrassment. All said and done, lighting a cyno is relatively simple. Follow everything that we've talked about here, and you should have no problems. If in doubt, get yourself on Singularity and have a dry run first! Jumping to a cyno is fairly simple. First of all, make sure you are in range of the cyno, and that you have enough fuel in your fuel bay to complete the trip. I recommend using dotlan's jump planner to check this if you're making a jump that you haven't done before. You should also ensure that you're in fleet with the character who will be lighting your cyno. 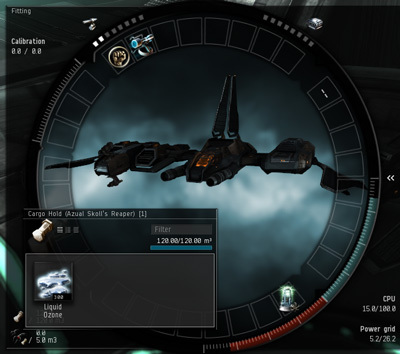 When the cyno is activated, the simplest way to jump to it is by right clicking your own capacitor whilst in space - a 'jump to' option should appear, which will list all active cynos that you can currently jump to (jump beacons at POSes should always appear here providing they are online and in range). You can also jump to a cyno by right clicking the character in the fleet window or fleet chat and selecting 'jump to member', or if the cyno has been broadcast you can right click the broadcast in the fleet window and jump to it from there. Jumping to a cyno will consume 75% of your total capacitor, and you will not be able to jump again until your cap has recharged to this level. If you plan to make multiple jumps, you can speed this up either by having your capitals (or friendly logistics ships) fit energy transfers and feed cap to incoming vessels, or by simply docking and undocking to reset your cap to full. Before making the next jump, you should also double check that you still have the required amount of fuel (a useful trick for long distance jumping is to fill your carrier's corp hangar with spare fuel, and transfer it to your fuel bay whenever you run low). If the cyno has been set up correctly, you should be relatively safe from bumping. However if other capitals are moving with you, bear in mind that you can potentially bump off each other if you come through the cyno too close together. For large groups, it's a good idea to stagger your jumps slightly, allowing each wave to dock up or move aside before the next comes in. There are a few changes to your fit that can make moving easier. The first is to fit plenty of cap recharge modules - this will ensure that your cap recharges more quickly after each jump, and speeds up the process for multiple-jump trips. If you're flying a carrier, it's a good idea to fit capital energy transfers to top up other incoming capitals for the same reason. Capital shield transporters and remote armour repairers are also worth bringing, especially if you're using a tanked cyno ship. Finally I recommend fitting a cloak, especially if you're cynoing in to a potentially dangerous system. Should you get bumped out of docking range for whatever reason, this allows you cloak up in the event that hostiles appear on scan. If the event that you do get bumped, don't panic - you'll often find that your session change timer completes (allowing you to dock up) before you've actually drifted fully out of dock range! This tip is courtesy of redditor SirAngusDerpington. When moving a capital ship into a wormhole, you're obviously in a little more danger than when you're simply traveling between stations. You could just cyno to a station (providing there is one in system that you can dock at) and then warp to the wormhole, but there's an element of risk involved, especially if any of the locals have already scanned down the hole and might choose to follow you there and tackle you. A potential capital kill tends to generate quite a lot of interest after all! In addition, there may well not be a station in system with your wormhole, and that means you're going to need to cyno somewhere else. The solution is to position your cyno at zero on the wormhole entrance - this should ensure that your capital ship comes through within jump range of the hole. However you don't want to give away the location of the wormhole to the locals, nor do you want them warping in on your newly arrived capital. To prevent this, SirAngus suggests setting your disposable cyno ship to self destruct once it's in position. Wait until the timer is down to around 9 seconds, and then light the cyno (obviously, you should make sure your capital is ready to jump the moment it goes up). This gives just enough time for your capital to make the jump without risking the cyno going down before it's through, while minimising the opportunity for anyone to notice and warp to your cyno before the ship self destructs and the cyno disappears. Obviously there's still a risk involved (particularly if you've already moved a capital through the system and someone is expecting it), but it's much lower than letting your cyno run for the full 10 minutes. You can also do the same thing when lighting a cyno at a POS. This minimises the chance of someone warping to your cyno before your capitals are able to safely enter the shield or warp off. Nice article. Sometimes we use cloaking devices when moving capitals to minimize the danger after being bumped outside of docking range. easy. Webs on cap for insta warp. Yes, this is good when cyno'ing in and then warping to a POS. Although it can get complicated in lowsec if you're not in the same corp as the webbing cyno alt. Unfortunately it's no help for the station bounce problem unless you have a third ship handy that can chase down the cap. But I do agree; it's nice to be able to fit webs onto a cyno ship; the Kestrel is ideal for this. * You cannot even light a cyno unless you're in a fleet. * A ship that jumps to a cyno doesn't appear "approximately" 5km from a cyno, it appears EXACTLY 5000m from a cyno. * As a result, a cyno ship should definitely use the tactical overlay sphere to make sure there are no objects 5000m from the cyno ship. * A ship that jumps to a cyno can bump other ships jumping to the same cyno, and given the relative masses, these will not be a minor bump. So in a large move op, staggered jumps are a good idea. * A cyno can be lit at any distance from a POS shield, but the ship that jumps to a cyno lit there will appear exactly 15000m from the POS shield edge, or exactly 5000m from the cyno, whichever distance is greater. * ...but you might also mention the steps for broadcasting a cyno. Thanks, great additions! I've added a section on information for capital pilots, which includes most of this - let me know if you still think there's anything missing. yw. And I thought of one more thing. You might mention bumping cyno ships, including bumping cyno ships inside the shield of a POS (considered an exploit) and bumping a cyno ship and then "taking its place" (which is just fun). I assume you can bump the cyno ship and the beacon will stay in place. Wouldn't a friendly bump also be a way to lower the potentially incoming damage to said ship? Great job on this article sir, well written and very informative especially for newer capital pilots! If one has to cyno to a POS, which is extremely dangerous even at the best of times (many a capital have been destroyed just outside the force field), light the cyno on-grid but over 150 km from the control tower so the capital can warp to it. It helps to have webifiers on the cyno ship to reduce the warp time of the capital into the safety of the force field. How to use one T1 webifier: let the capital accelerate to 38% of max velocity, then web it and it will instantly enter warp. How to use two T1 webifier: let the capital accelerate to 29% of max velocity, then web it and it will instantly enter warp. How to use one T2 or meta 4 webifier: let the capital accelerate to 30% of max velocity, then web it and it will instantly enter warp. How to use two T2 or meta 4 webifier: let the capital accelerate to 20% of max velocity, then web it and it will instantly enter warp. "Only cloaky ships (that is, ships capable of fitting covert ops cloaks plus the blackops BS itself) can bridge via a blackops battleship." The black ops battleships themselves don't go through the jump portal but rather have to jump themselves to the cyno (covert or not). So in practice on a black ops fleet with only one battleship, said battleship has to jump last so as not to leave anyone behind. Unless I'm remembering this wrong, blackops battleships *can* bridge via another blackops battleship. It's not a good idea because it uses a chunk of their fuel (and if you go through before other ships, it may run out of fuel before everyone it though) however it can be done. Obviously the blackops providing the bridge can't go through it's own bridge, that wouldn't make any sense! Exploration bonuses tech 1 frigates make for very good cyno ships, since they have large cargo holds for alts without cyno theory trained fully. Another useful thing if you are a cyno boat with multiple cyno's worth of fuel in your bay is to deactivate the module after lighting the cyno. That way it won't automatically cycle another cyno afterwards. Though that might just be paranoia. You can also do the following: the cap ship jumps on the cyno and the cyno ships fleet warps to the wormhole position (must be Wing commander etc.). Excuse my ignorance but if a capital ship gets attacked after undocking and before jumping to cyno can it still jump or is there some kind of aggression mechanic? You can jump if you aren't tackled (warp disrupter / dictor bubble, etc), have enough capacitor for the jump, and are no in warp. 1. If you're cynoing through a system without a station, you can log out your capital ship to recharge it's capacitor. This beats waiting around, vulnerable in space. Even if bad guys show up before you complete emergency warp, your ship will still disappear from space quickly if you weren't aggressed before logging out. Have the cyno pilot do a directional scan, and once your ship(s) have disappeared from their emergency-warp spot, you can log back in and should have full capacitor. Special caveat: Never, ever log into space blind unless you are fine with losing your ship. 2. Some suggest equipping a cloak so you can wait around in more safety. I don't like this for one big reason - the scan resolution penalty that comes with equipping an improved cloak. If the crap hits the fan, being able to quickly target and destroy a small ship that has you tackled may be what stands between your escape before a gang shows up and your destruction. 3. If you're in a corp/alliance that has capital ships, equip a cyno generator on your carrier itself. It uses a high slot, but it's not like you can equip a turret there. In my former, large, alliance, we required all carrier pilots to equip or have aboard a cyno generator at all times. If you get ambushed, you may be able to cyno in your own saviors. Just be sure help is ready to jump in before you light it up. Remember: you cannot dock (any more) with an active cyno beacon. 4. If you have to transit a station-less system without a friendly POS, there's something sneaky you can try to minimize the risk. First, scan the moons for an unfriendly POS. Then, light the cyno at a nearby moon, if there is one. If you're feeling really brave and/or have a cloaking cyno ship, warp on grid with the hostile POS and then maneuver until you're out of targeting range (250 km, I think they fixed that finally) and also off grid (the POS disappears from the overview). A random pilot transiting the system may or may not investigate a cyno beacon, but most people know it's never a good idea to warp to one directly. They scan the area first. If they notice your beacon is NEAR a POS, they might assume it's your POS and choose not to mess with you. This likely won't help you if a committed scout for a pvp gang comes in. But, it might help you avoid a confrontation with the less curious. I highly encourage you to use the logout method when transiting unsecure (no dockable station) space.